Russ and Jani Jackson of Kiowa County have been selected as the recipient of the 2018 Oklahoma Leopold Conservation Award®. The Jackson Family, 2018 recipients of the Leopold Conservation Award.  In Oklahoma the $10,000 award is presented annually by Sand County Foundation, Oklahoma Cattlemen’s Association, Noble Research Institute, the Oklahoma Farm Bureau Foundation for Agriculture, and ITC Holdings Corp.
Their name was revealed as this year’s recipient at the Oklahoma Association of Conservation Districts’ Legislative Banquet. They were presented with a $10,000 award and a crystal depicting Aldo Leopold. 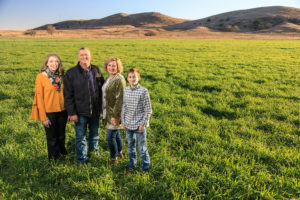 As third generation ranchers, Russ and Jani Jackson understand the importance of producing food and fiber in a way that works with nature, not against it. Their ranch is located on prairie at the base of the Wichita Mountains, in a region known for hot summers, high winds, and increasingly limited, but intense rainfalls. They realized conservation practices were needed on their highly erodible soils to preserve the ranch for the next generation. 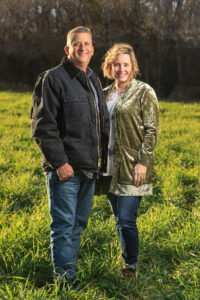 The Jacksons began converting their cropland acres to a no-till system about a decade ago. The crop residue on the land provided increased habitat for wildlife. They soon noticed improved soil health, and reduced wind and water erosion. The switch to no-till also reduced their fuel and labor costs. Developing a conservation plan with the Natural Resources Conservation Service allowed them to access the Environmental Quality Incentive Program. That federal program’s positive impacts convinced them to enter the Conservation Stewardship Program in 2011. Its goals included brush management, prescribed grazing plans and planting cover crops. 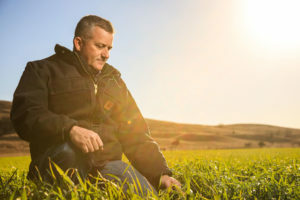 The Jacksons found that planting canola as a cover crop helped suppress weeds in wheat fields. And it could be planted with equipment they already owned. Wheat yields increased the following year. It was a watershed moment for Russ, who wondered if adding more crop diversity would spur further productivity. Adding milo, sesame and cowpeas to their rotation of cotton, wheat, corn and soybeans gave their soil year-round nourishment from a variety of root types and nutrients. The soil’s organic matter increased dramatically between 2015 and 2017, allowing it to hold more moisture between rains. A nearly constant crop canopy also provides habitat for small animals, insects and pollinators. The Jackson’s diversified ranch was more profitable and better for the natural resources on the land, while requiring less labor. Despite all this progress, they felt something was still missing. They noted the ranch’s landscape was once native prairie that was home to herds of bison. The land benefited from the presence of bison, who would intensively graze an area before moving on and giving the grass a chance to rebound. The Jacksons knew that, when managed properly, cattle can stimulate the same plant growth. Grazing cattle press seeds into the soil with their hooves, and spread their waste on the land as a natural fertilizer. So, this year, they introduced a herd of about 200 beef cattle to graze the ranch’s grassland and crop fields. It’s the latest example of their efforts to benefit the ecosystem by mimicking its natural processes. The result is a ranch that is productive, profitable and regenerative. Among the many outstanding landowners nominated for the award were finalists: Chuck and Ruth Coffey of Springer in Carter County, and William Payne of Saint Louis in Pottawatomie County. The 2017 recipient was Jimmy and Ginger Emmons of Leedey in Dewey County. The Leopold Conservation Award in Oklahoma is made possible thanks to the generous contributions from Oklahoma Cattlemen’s Association, Noble Research Institute, Oklahoma Farm Bureau Foundation for Agriculture, ITC Holdings Corp., Oklahoma State University, Oklahoma Association of Conservation Districts, and the U.S. Department of Agriculture’s Natural Resources Conservation Service.